Summer is here and like the weather the music industry is really starting to heat up. 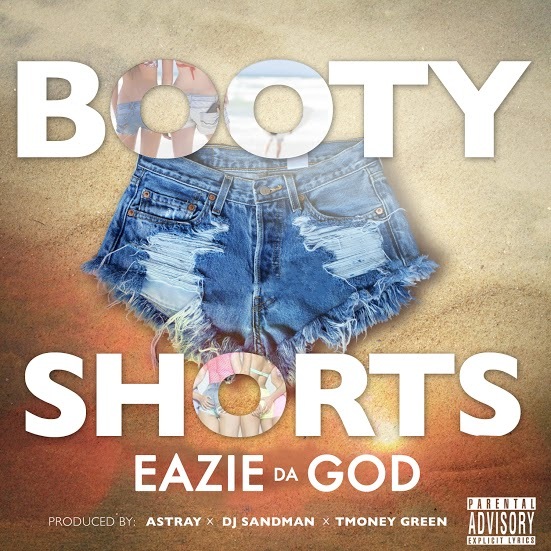 This week EazieDaGod released his new summertime single “Booty Shorts”. “It’s a summer anthem, for the ladies and the fellas who love to see women in their summer shorts. It has an upbeat tempo to it. Listeners will be able to dance and have a good time to the song,” said EazieDaGod. EazieDaGod made his mark as one of the most distinguished, forthcoming artists of his generation creating his own lane of Hip-Pop (Hip Hop & Pop Music). Hailing from NYC, Eazie has brought his non-traditional talents to Detroit Rock City, where he has collaborated with Edward Tony Green a.k.a. T. Money Green who is the legendary bass player best known for his work with Dr. Dre, Snoop Dogg, George Clinton, Warren G., and The Dramatics. His work can be heard on almost every song that was released from the famous Death Row camp during the early to mid-90s. Eazie Da God, admired by hundred of thousands of fans originated as a YouTube and NYC Summer Jam sensation where he now has over 1.2 Million viewers, collectively. 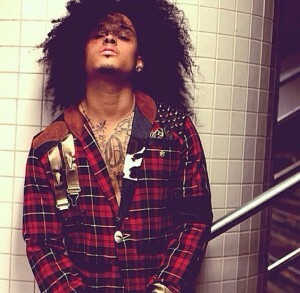 He is constantly evolving as an independent hip-hop artist with a pop feel. Known for his bold style and intricate sound, he is easily set apart from conventional industry standards. His out of the box image always leaves his fans in anticipation of what is to come. Eazie Da God has performed from New York to Detroit and has over 300,000 followers on social media. Eazie made the transition from NYC to Detroit at SandBoxx Studios and uttered that Detroit is similar to him, as he made a few mistakes and is on the rise again – undefeated. He said he could relate to the city and thus wanted to be apart of the revitalization. Eazie also wanted to exhibit real musicianship with his music and he knew Motown was the place to do it. The Dramatics’ own, T. Money Green put his signature “stank “ on the record to bring it to life with live base and guitar with the partnership of producer DJ Sandman who mixed and mastered the song. “After adding some live base and live guitar the whole production went to another level. Once rock star EazieDaGod put his touch on it, I knew we had something special! It’s a perfect song for the summer,” added DJ Sandman. Over the past few months, EazieDaGod has rocked the hearts of Detroiters with his music that has inspired his fans from the East Cost. He has performed at several concerts and walked red carpets where Detroiters warmheartedly welcomed his talents. His individuality makes way for fresh sounds and timeless talent in today’s uniform industry. We are definitely keeping a close watch on Eazie as he takes the music industry by storm. You can also visit his website at www.EazieDaGod.com for more information.